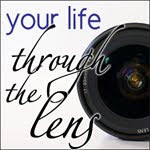 If you are taking part in Ali Edwards' December Daily project or just documenting your month one day at a time, finding inspiration for a photo everyday can have its challenges. There are days you are just too tired to mess with your camera. Days you forget to take a photo until the last minute and there might even be days where you just feel stuck for an idea. The tree? Again? 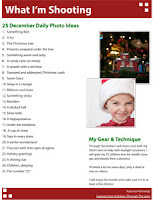 Here is my 25 December Daily Photo Ideas downloadable pdf for a little inspiration! I am going to use it as a scavenger hunt through the month and maybe even a page title or two! Enjoy! I'd love to hear which you find and which inspire you the most! A hippopotamus? That one came out of left field! It made me laugh! I thought the same thing Mimi! LOL Thank you so much Katrina! Can't pass up ANYTHING you offer to help us all out! I used your Thanksgiving list and now I'll for sure use this one, well.....not sure about that Hippopotamus though, BUT ya never know! Love the hippopotamus! While I may not have one of those around...I'm going to think of my own random item to insert there! 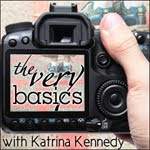 As always Katrina, thanks for the inspiration! 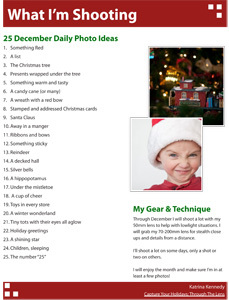 Love your list ... thanks for the photo ideas. Love it. Thanks. "I want a hippopotamus for Christmas!" Printing the list as I type. Thank you so much for this Katrina! Thank you K! I can use all the ideas I can get! Thank you so much! I tried last December to take a photo a day and failed miserably. Your list is just the inspiration I need.